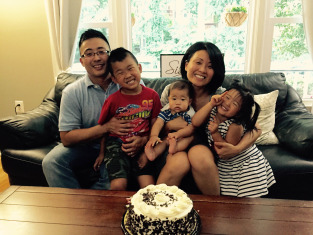 My name is Irene Kim, and I am a Bradley® instructor and doula. I was born and raised in the DC metropolitan area. Having lived here my entire life, I take great joy and pride in connecting with expecting parents in my hometown to be a stepping stone on their way to building their beautiful families. When I am not teaching about childbirth, I enjoy writing, taking jogs, spending time with family, hosting friends at our home, volunteering around the community, and performing song and dance privately for my family. I am passionate about orphan care globally and seeing families thrive, and I truly believe in the saying, "it takes a village." I got married back in 2010 to my loving husband, Daniel, and since then, we have had three wonderful children, Micah, Kindle, and Moses, all through the Bradley® Method. You may also see that there are more than three children in our home at any given time, and that is because our family takes in foster children as well. Each and every one of these kids have been the most perfect gifts. Thank you for coming by and I hope to meet you personally one day!